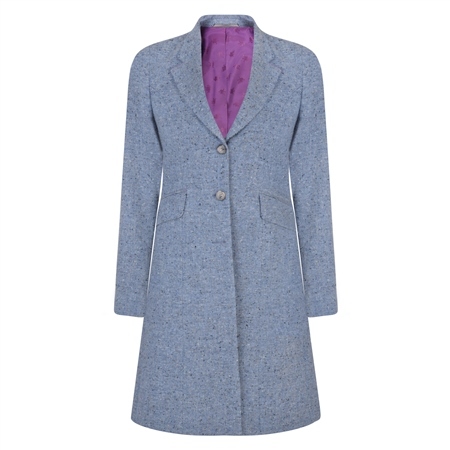 A stylish knee length coat, the fabric is in a salt and pepper blue Donegal tweed. The timeless fabric is designed and woven in our mill in Donegal, Ireland. A perfect garment for the Spring Summer seasons.